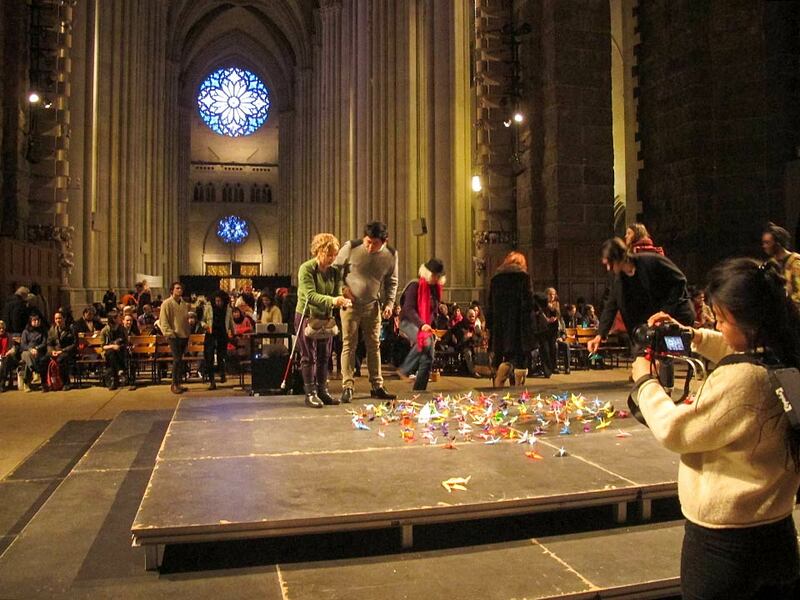 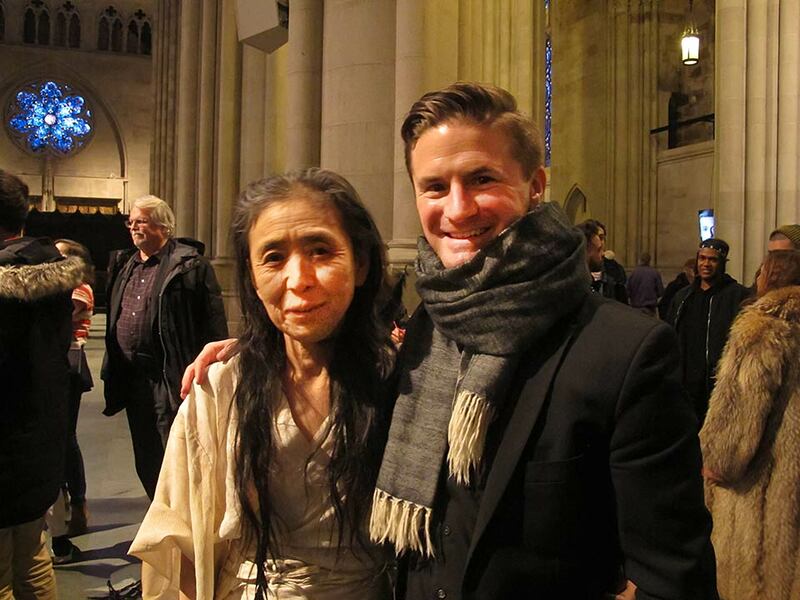 NYC i-School students from Nathan Snyder’s Nuclear Proliferation module participated in Eiko Otake’s Remembering Fukushima: Art and Conversation at the Cathedral. 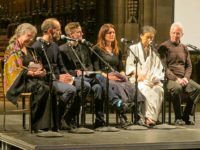 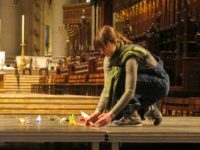 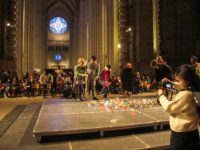 The event, at the Cathedral of St. John the Divine, brought together artists, specialists and scholars to commemorate the sixth anniversary of the Fukushima nuclear disaster in Japan. 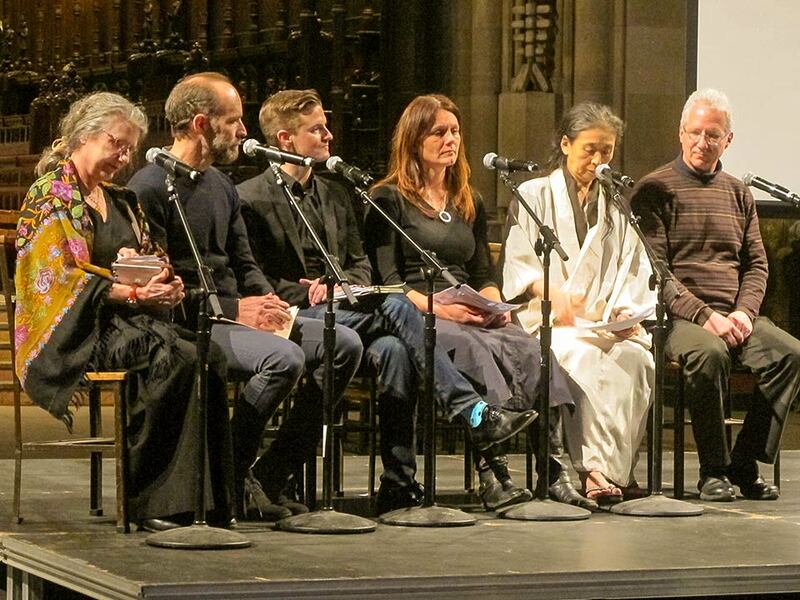 Snyder, whose nuclear proliferation module was inspired by Hibakusha Stories, participated in a panel discussion. 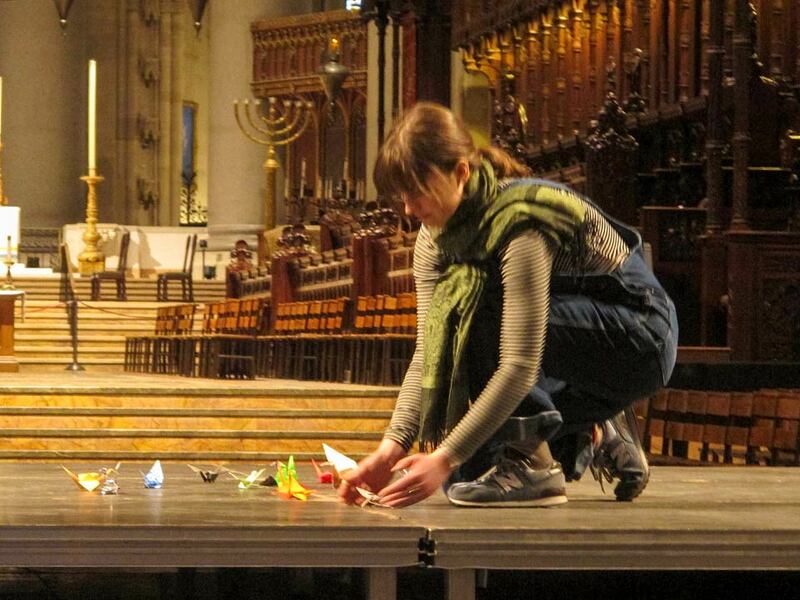 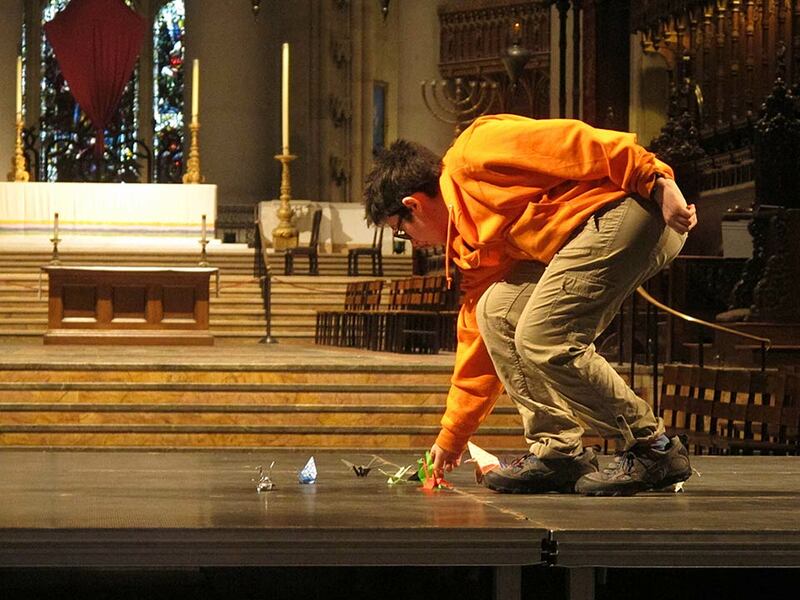 His students laid paper cranes they had made in class on the stage and encouraged the audience to do the same. 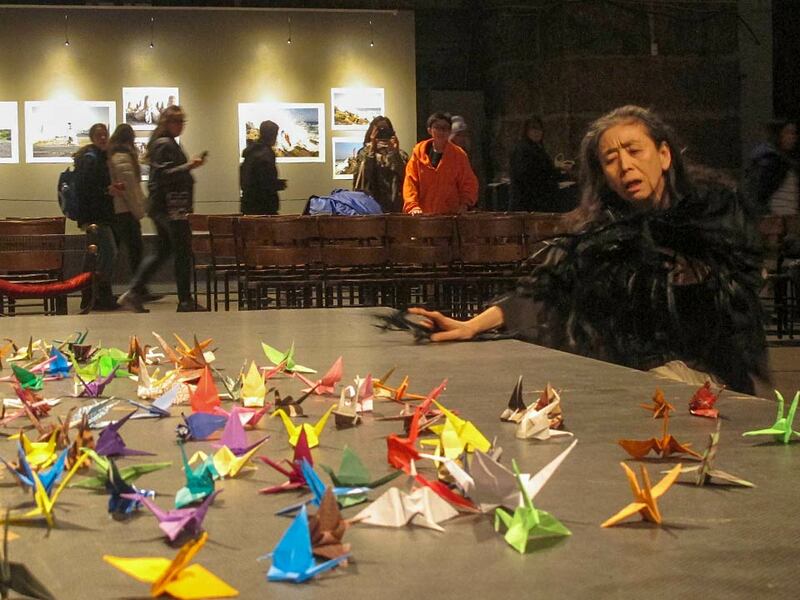 The four-hour event was dedicated to A-bomb survivor Kyoko Hitashi. 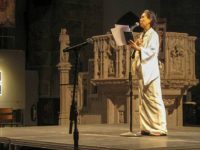 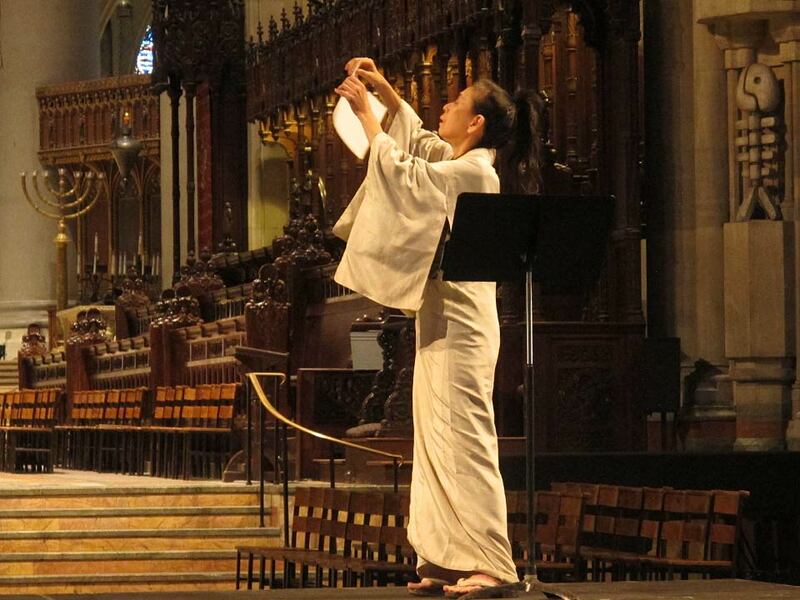 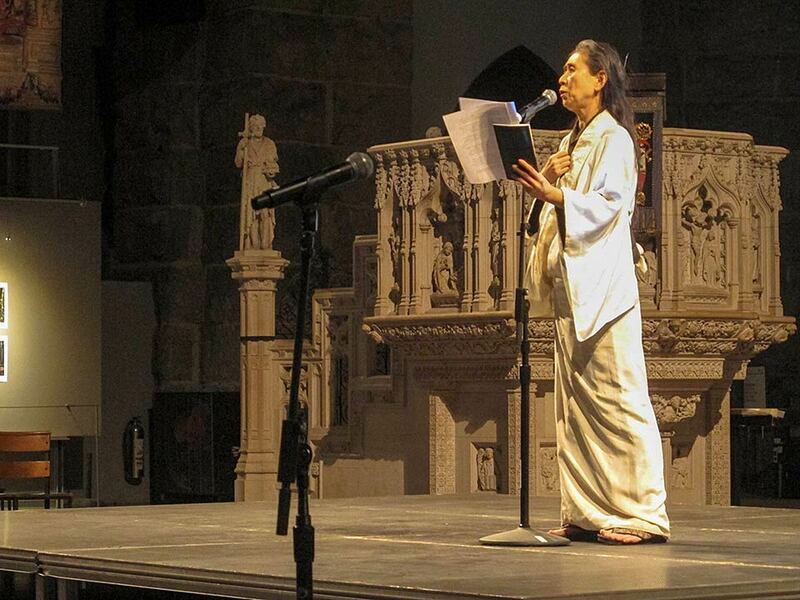 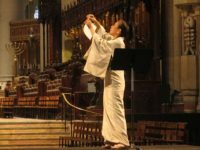 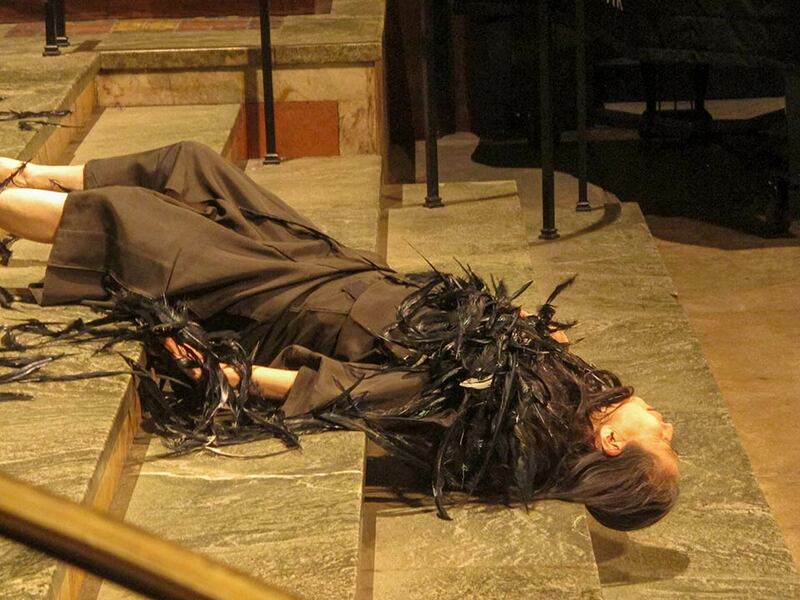 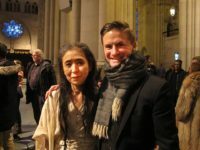 A reading of Eiko’ adaptation of Hitashi’s From Trinity to Trinity in 2010 at New York Theatre Workshop began Hibakusha Stories’ fruitful collaboration with Otake.